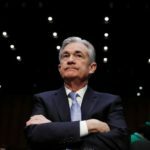 With fears of growth downshifting, inflation weak, and all-important inflation expectations deteriorating, earlier today the Fed promised more patience and suggested there will be no rate hikes this year. I believe this is an overreaction. But, with rates already so low, the Fed is concerned that if we fall into a recession it will be unusually hard to get out. Thus, from a risk management perspective this approach makes sense.